Lizzie Bray in our Oceans and Islands team recently went on a whirlwind tour of the Caribbean, stopping at some of our favorite island hideaways. 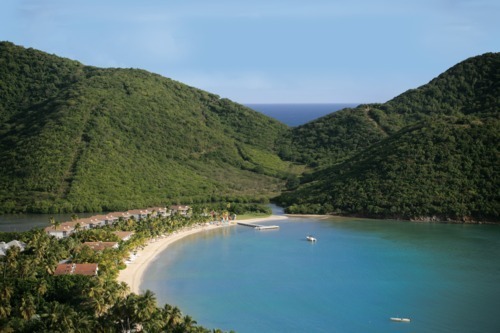 First stop was Antigua where she dropped in on Carlisle Bay to see if it really lived up to its recent ‘Best for Service’ award in the prestigious Conde Nast Traveler Gold List 2012. 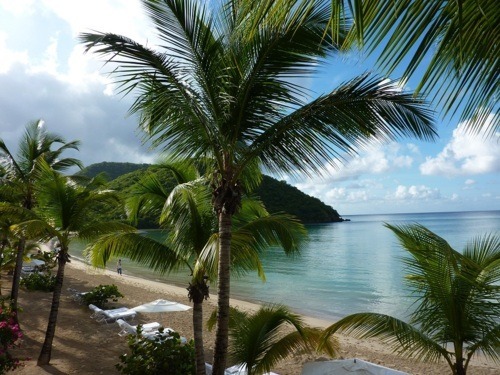 Whatever you are looking for in your Caribbean vacation, Carlisle Bay seems to me to tick every box. 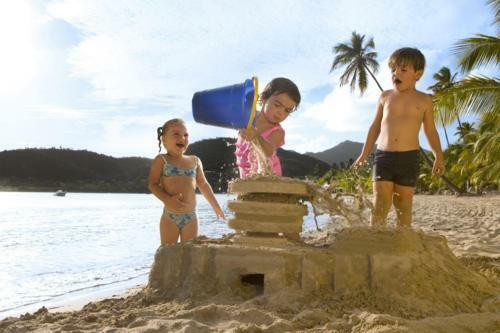 Whether you are a family with active young children or a couple just trying to get away it all, Carlisle Bay will deliver. Particularly memorable for me were the spacious bathrooms and glorious views of the sea but every need had been anticipated and the smaller but equally important touches were not forgotten; a mini cool box placed strategically by your sun lounger, a mid-morning palate-refresher in the form of a chilled fruit skewer, brought to you on the beach and, of course, a delicious daily afternoon tea…if you can squeeze it in! 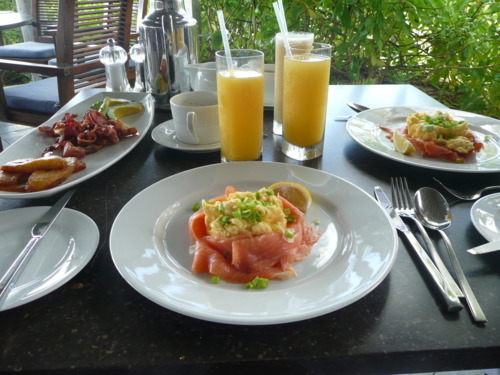 The food was excellent in both of the resort’s restaurants, East and Indigo, and I was particularly impressed by the range of fresh fruit and scrumptious smoothies on offer at breakfast. I was really blown away by the childcare and can see why it is renowned. Having seen it with my own eyes I have every confidence in recommending it to our guests. The Cool Kids Club accepts children as young as 6 months old. For the adults there is a vast range of activities including sailing, snorkeling, windsurfing, kayaking, gym and tennis, all of which are complimentary. 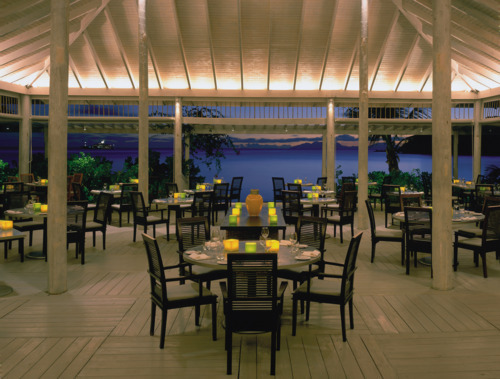 Most impressive of all are Carlisle Bay’s staff. Attentive, very friendly and relaxed without losing sight of the importance of good service and John Reynolds, the General Manager, makes everyone feel at home. 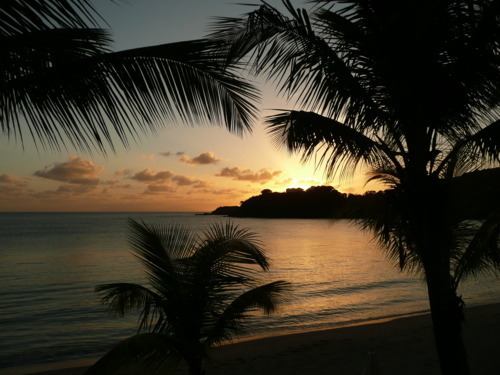 As Conde Nast says it really does have the ‘X-Factor’ for service – and for romantics, beautiful sunsets. 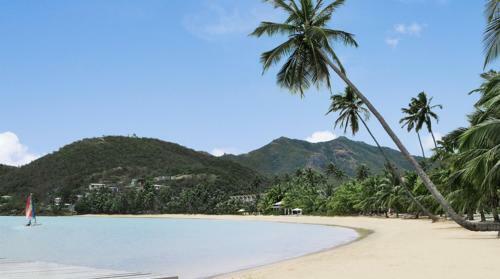 For more information on luxury customized vacations to Carlisle Bay contact our Oceans and Islands team on 020 8682 5420.